The Fire Department has been a paid/career since 1957 fire crews have ranged from volunteer prior to 1957 to career crews with a rotating shift from 9 to currently 15 Firefighters. Each shift has 4 Firefighters on duty, the shifts are 24 hours on and 48 hours off. The shift can operate with a minimum staff of 3 firefighters, during the week both the Fire Chief and the Assistant Fire Chief are on duty as well. The Fire Chief works Monday through Friday from 7:00 am to 4:00 pm, the Assistant Chief works a modified shift schedule combining both 24 hour shift work and week day Shifts. Each Shift has a primary role for the Fire Department that they oversee. 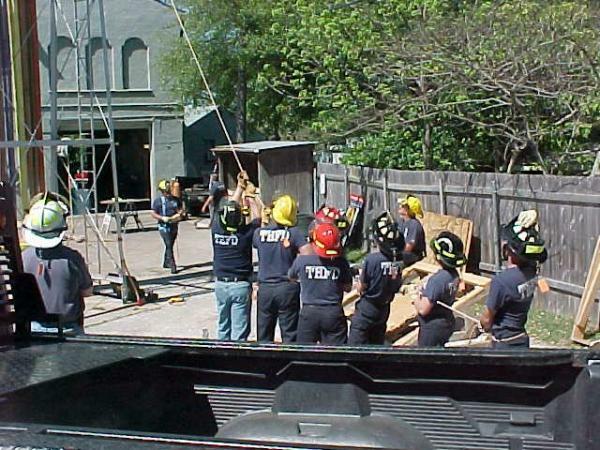 "A" Shift, oversees, plans, participates in and tracks all department training. "B" Shift, takes care of all maintenance related to the Fire Department. 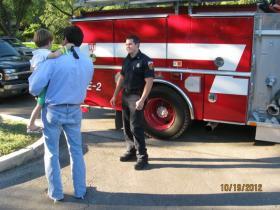 "C" Shift, tracks and schedules all Business Inspections and Home Fire Safety Surveys. The Assistant Chief is in charge of the overall operations of the Fire Department, he also rides out and operates as the Incident Commander while on duty either during daily or shift hours. The Fire Chief while ultimately responsible for all Fire Department operations also carries other duties of the city on a daily basis. Through out the years Terrell Hills has been protected by various types of apparatus from a hose trailer primarily used to fight grass fires to the first actual fire pumper the city owned. 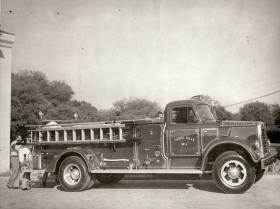 That first pumper was a 1957 International 190 Series. 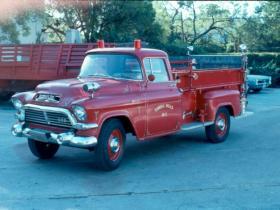 The second apparatus purchased was a Chevrolet which was used for ladder hauling and smaller incidents. 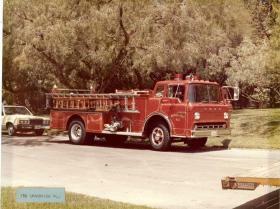 In 1974 a Simms Fire Apparatus Ford F-900 750 GPM Pumper was purchased. The 1957 International stayed in service until it was replaced in 1991 with a Pierce Ford F-800 1250 GPM Pumper. 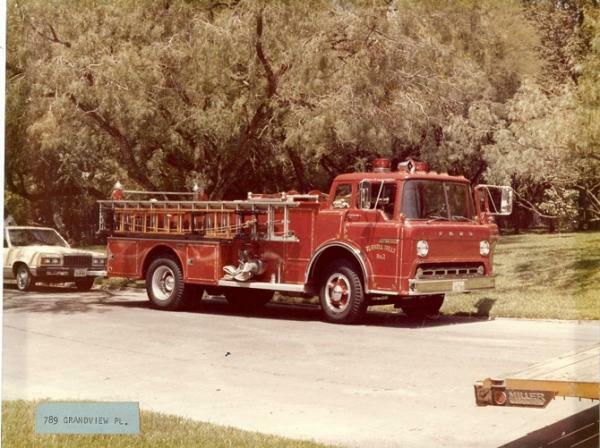 The 1974 Simms Ford apparatus stayed in service until 2002 when it was replaced by the current 2002 Ferrara Freightliner FL-80 1250 GPM Pumper. The department has also had smaller support vehicles primarily used for running smaller tasks, and eventually EMS first response. 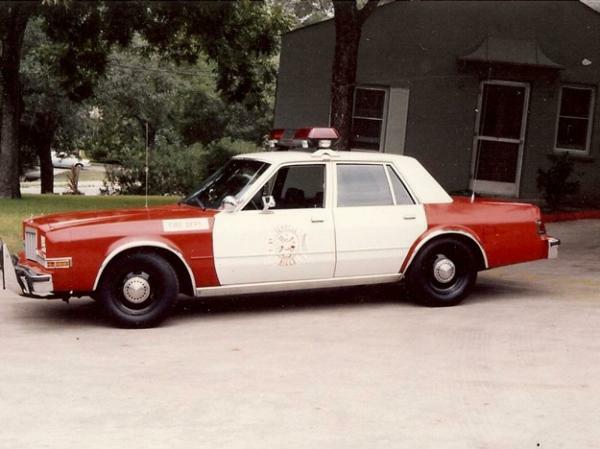 These vehicles were usually retired patrol cars; however, in 2006 the Department purchased a Ford F-350 to provide EMS response and a Command Vehicle for the Officer in charge on duty.